Featuring the leading HDR technology in a video enjoyment monitor, EW277HDR offers enhanced brightness and contrast and brings incredible details and vividity to HDR video content. The EW277HDR showcases High Dynamic Range for dazzling brightness with stark contrast for deep blacks and wide color range for intense video performance. The EW277HDR brings HDR together with Brightness Intelligence Plus Technology (B.I. Tech.) to gently soften bright areas while keeping dark details crystal clear. EW277HDR's simple hotkey switches between 4 levels of HDR and B.I. + modes to balance maximum contrast and vibrancy and fully enjoy the splendid image performance of HDR while maintaining your viewing comfort. High Dynamic Range (HDR) and Cinema HDR Mode increase the overall dynamic range between true blacks and bright white to resemble what your eyes see in the natural world. * To view HDR content, please use the provided HDMI cable, a high-speed HDMI cable, or premium high-speed HDMI certified cable. * HDR function support HDR 10 content. * For Non-HDR content, user can also activate HDR mode.EL2870U will provide emulated HDR performance for better viewing experience. Under HDR mode, BenQ's exclusive Brightness Enhancement delivers unprecedented visual quality by increasing luminance up to 33% for significantly higher contrast performance. The EW277HDRcovers 100% of Rec. 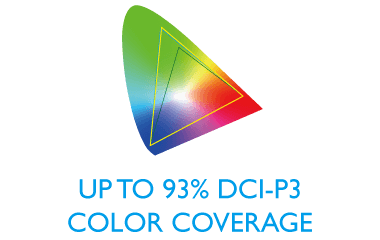 709 and 93% of DCI-P3 standards to ensure HDTV and Digital Cinema accuracy to match your defined authentic colors. EW277HDR simulates high-resolution picture quality by increasing pixel density of low-resolution standard-definition content for astounding clarity. Smart Focus highlights the selected windows or area, helping users concentrate on the main viewing content by reducing distractions in the background. Global safety authority TÜV Rheinland certifies the EW277HDR's high Flicker-free, low blue light, and brightness intelligence plus as truly friendly to the human eye. Brightness Intelligence Plus Technology detects ambient brightness and color temperature to adjust display settings, with soothing warm white for comfort and cool white for productivity. B.I. Tech. adjusts brightness to avoid overexposure and to enhance details in dark areas, preserving original color saturation and hue with smooth gradation. 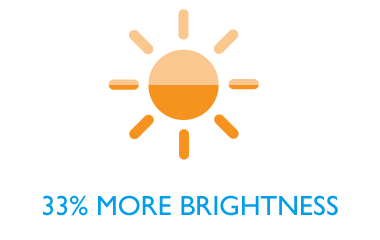 Low Blue Light technology is designed to filter out harmful blue light, effectively diminishing eye fatigue and irritation. 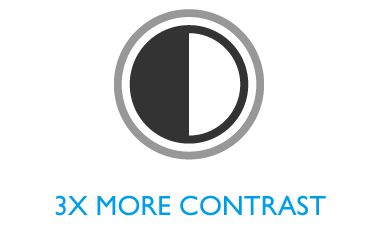 Easily switch to one of four preset Low Blue Light modes from the OSD hotkey (Multimedia, Web-surfing, Office, and Reading) and reward your eyes without sacrificing visual enjoyment.